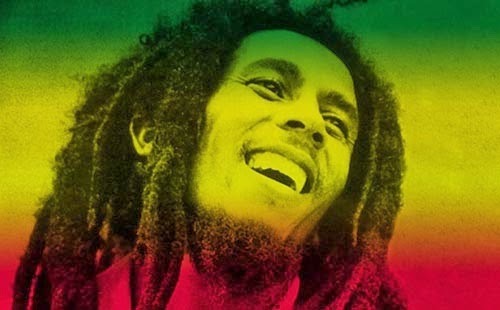 Bob Marley, the late reggae music icon, was named last year by Forbes magazine as the fifth top earning dead celebrity. He is actually the only Caribbean artist to grace a Forbes list, which is mostly dominated by North Americans and Britons. How much is his estate worth? Reportedly, Marley's estimated net worth is around $130 million dollars. As both a singer and songwriter, Marley is credited with popularizing reggae and the Rastafari movement worldwide. Some of his worldwide hit songs include "No Woman, No Cry", "Jamming", and "One Love". His final album, a compilation entitled "Legend" was released in 1984, three years after he died from cancer at the young age of 36. That album is the top selling reggae album of all time, and has been certified, not Gold or Platinum, but Diamond. Combined, Marley has sold more than 75 million albums in the past 20 years alone. So how is he still making millions? Well, first of all, since it's release in 1984, Bob Marley's "Legend" album continues to sell more than 250,000 copies every single year. Nowadays, much of his music is sold via iTunes and other digital retailers. And tons of his songs are bought around the time of his birthday every February 6th due to a smart annual campaign launched by his estate called "Bob Marley Week". Believe it or not, but millions of fans all around the world celebrate this special week dedicated to Bob Marley. Another major factor in his annual sales is the fact that Bob Marley is a huge social media icon; He has nearly 60 million Facebook fans, and more than 1 million Twitter followers. That means that he has the second-highest social media following of any posthumous celebrity. And don't forget the merchandise and licensing deals. Bob Marley fans can buy his clothing (Zion Rootswear apparel), his personalized speakers, messenger bags and even a line of drinks bearing the name of the late music icon. Even more, his estate just signed a multi-million dollar deal with Hope Road Merchandising, LLC, and they will manage all Bob Marley motion pictures, television deals, commercial endorsements, consumer licensing, digital media, and games. Another company, Hilco Consumer Capital, pays millions of dollars annually to license other Bob Marley products including shoes, food, collectibles, luggage, musical instruments, and stationery. Its no question that the Bob Marley business is a very lucrative cash machine that will probably never die, but that's what happens when you make good music. You live on, and your fans never let go!